Good luck to the 2019 Vis Moot McGill Team and their coaches! Professor Andrea K. Bjorklund (Faculty of Law, McGill University) and Professor Yarik Kryvoi (British Institute of International and Comparative Law), and collaborator Jean-Michel Marcoux, are pleased to announce the publication of their final report on the future of the Canada-UK Trading Relationship. The objectives underlying this final report are to allow policy-makers to undertake the negotiation process with a clear sense of the various provisions that are available to address the most controversial issues of international investment law and their legal implications. The report demonstrates that an investment agreement can respond to legitimacy concerns raised by a variety of stakeholders. More specifically, it provides a side-by-side comparison of provisions that have already been included in IIAs and model agreements for three specific themes: 1) dispute settlement possibilities; 2) the breadth of investment protection; and 3) obligations imposed on foreign investors. This research was supported by the Social Sciences and Humanities Research Council of Canada (SSHRC) and the Economic and Social Research Council (ESRC) of Great Britain. The L. Yves Fortier Chair in International Arbitration and International Commercial Law was pleased to host the launch of International Investment Law and Globalization: Foreign Investment, Responsibilities and Intergovernmental Organizations (Routledge, 2018), a book by Postdoctoral Fellow Jean-Michel Marcoux. Currently a postdoctoral fellow at the Faculty of Law, Jean-Michel Marcoux holds a PhD in Law (University of Victoria), an MA in International Studies (Institut québécois des hautes études internationales) and a BA in Public Affairs and International Relations (Université Laval). Interested in international economic law and international relations theory, he has published a dozen articles and chapters in peer-reviewed journals and collections of essays. 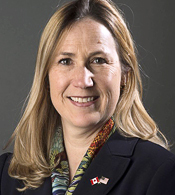 We were recently delighted to host an informal discussion with Canada’s Deputy Ambassador to the United States and McGill alumna Kirsten Hillman, BCL/LLB'93, about the process of finalizing the new NAFTA - USMCA. 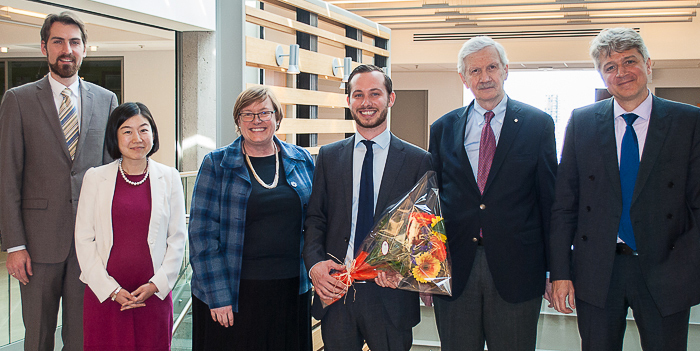 The Fortier Chair is proud to announce that DCL candidate Lukas Vanhonnaeker (centre, with flowers) successfully defended his doctoral thesis, “Shareholders’ claims for reflective loss in international investment arbitration - the rule and its demystification”, on March 15, 2018. Bravo, Lukas! The latest round of North American Free Trade Agreement re-negotiations wrapped up recently with Canada and Mexico reportedly frustrated by US demands. Knowledge @ Wharton host Dan Loney looked at the recent developments with Matt Gold, Professor at the Fordham University School of Law and Former Deputy Assistant U.S. Trade Representative for North America, and Andrea Bjorklund, Faculty of Law Professor at McGill University and Former Member of the NAFTA Arbitration Team at US Department of State. Talks about the renegotiation of NAFTA have reached an impasse, and it may be difficult for the three nations at the bargaining table to find a way forward: "As the latest round of talks between the U.S., Canada and Mexico to renegotiate the North American Free Trade Agreement (NAFTA) ended last week in a stalemate, two issues emerged as the key sticking points." The Private Justice and the Rule of Law research team, with the support of the John E.C. Brierley Memorial Lecture Fund established by Yves Fortier, and the L. Yves Fortier Chair, welcomed Professor Lucy Reed, Director of the Centre for International Law at the National University of Singapore, for the annual Brierley Lecture. Watch her talk and see some pictures of the event on the Private Justice and the Rule of Law's website. 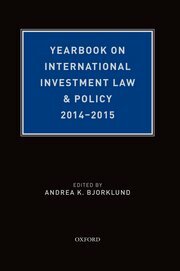 Edited by Professor Andrea K. Bjorklund. 664 pages. OUP 2016. "Several themes emerge in this 2014-2015 edition of the Yearbook. The first is a notable focus on country and region-specific developments. Different articles focus on key developments in such countries as Australia, Brazil, China, Ghana, India, Indonesia, Russia, and South Africa. Others focus on regional innovations, in particular in Latin America. A second area of attention is reform, and proposals for reform, in investor-state dispute settlement and in investment law generally. The third theme is the continued concern about states' regulatory autonomy and the importance of their retaining ability to protect the interests of their nationals. 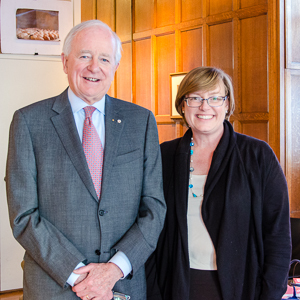 Mr. L. Yves Fortier and Prof. Andrea Bjorklund, on March 13, 2014, for the Inaugural Fortier Chair Conference. The L. Yves Fortier Chair in International Arbitration and International Commercial Law, endowed in 2009, was created through the generous support of Rio Tinto Alcan Inc., in order to enhance the Faculty's leadership in the field of international arbitration and commercial law. 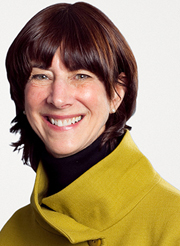 Professor Andrea K. Bjorklund was appointed as the Chair's inaugural holder in 2013. Currently, the Fortier Chair’s research focuses in large part on dispute resolution. Arbitration in particular can be assessed on a “micro” level – how does it work; how can it be made better, and on a “macro” level – how does it fit within the general realm of international law, and how does it contribute to the rule of law. Recognized internationally as one of the top arbitrators in the world, Mr. Fortier has served as Chairman or party-appointed arbitrator on more than 100 international arbitral tribunals. He has served as a member of the Permanent Court of Arbitration at The Hague and as President of the London Court of International Arbitration. Mr. Fortier served from 1988 to 1992 as Canada’s Ambassador and Permanent Representative to the Unitied Nations. He is a past chairman of Norton Rose Fullbright.